A series of tragedies and disappointments bring Janine to a place in her life where she has hit rock bottom. Her one-night-stand turns into a nightmarish event that may ultimately cost her her life. Candi is blinded by love and puts her own integrity aside to keep a man who&#x2019;s keeping many secrets. Her denial sinks her deeper and deeper into the abyss of Greg, her lover, from which she may not escape. Jason leaves the unforgiving streets of Los Angeles. Conflicts with Janine and living with the roommates from hell, fuels his fire to start his own business and pave his own way. 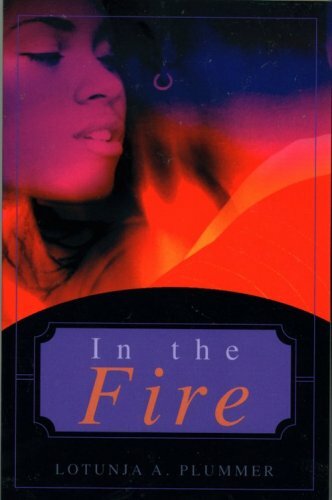 Jada&#x2019;s egotistical ways land her in a place of absolute loneliness, and her appetite for married men spells trouble with a capital T. Each moment in the fire could bring each of them closer to self-realization or self-destruction. The question is will they make it through the fire unscathed or will they burn? Lotunja Plummer graduated from the University of Georgia in 2001 with a Bachelor of Science in English Education. She is currently a high school teacher in Atlanta. While in the process of self-publishing her first novel, In The Fire, she is also in the beginning stages of writing her second novel. Lotunja plans to attend graduate school in pursuit of a Master of Arts with a concentration in Creative Writing.